Our goal is to create a ceremony that is a direct reflection of the two of you! We firmly believe that not one Officiant/Celebrant can be the end all-be all to every couple. Each has their own merits in their style, personality and presentation. There are the very serious types, the read from a book or script type and some like us…. We are the fun, happy and lighthearted type of Chaplains. We tell our couples that if they are looking for the long winded, poetic and reading from a book type of Officiant, that’s not us! Fun and Happy is the best way we have been described. We love being part of fun and uplifting celebrations and believe the ceremony should segue to your reception rather than “Oh Dear God, we have to sit through this to get to the party?”. There is a BIG difference between being a comedian and being lighthearted and we know the difference! We want our couples to bring their vision to the ceremony process and we show them how simple it can be. The result is a ceremony that reflects the two of them, not who we think they are. If you weren’t aware, outside the walls of the formal Church and the County Clerk Office, you can be very creative in your ceremony. Your ceremony ideas and personal style are endless, so don’t settle on an Officiant that won’t let you show a creative side in the ceremony planning process. Plus, you’ll be working with someone that performs ceremonies at this location almost every week! 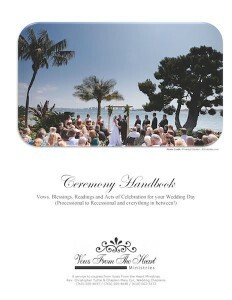 After a few thousand or so meetings with couples to discuss their celebrations, there is one common denominator; The majority of couples have never gone through the Officiant selection process before and have no idea what to ask, what to look for in an Officiant and most importantly, how to express their wishes and desires for their ceremony. They simply trust the Officiant to handle it. We break down this barrier and show each couple how they can be part of the magic! Easy, step by step instructions and ideas. You choose the style of your presentation; Really, it’s up to you! We serve as Wedding Chaplains giving us the ability to respect and observe all Faiths, Beliefs and yes, even those couples with non-Beliefs without personal judgment or even better, no hidden agendas. We believe your ceremony should be just as fun and enjoyable as your reception without taking away from the seriousness of the moment. If you’re a fun and happy couple, let’s make that happen! This is your wedding day, not ours. 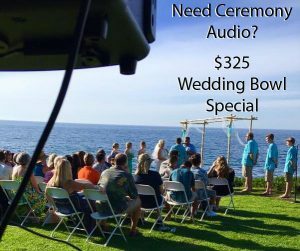 You tell us what you want, we put it together and deliver the ceremony without fear on your part of…. “What is he or she going to say”. Since you have made the selections, there’s no mystery at all and you can rest assured that the ceremony is taken care of, the way you want it to happen.